Welcome everyone! I am officially kicking off my oneyearonehundred books project! The actual countdown won’t begin until January 1st, but I wanted to get in some practice before beginning this year-long enterprise. What better way to do that than to look all my favorite books that I read this year! I love end of the year lists! They are such a lovely wrap-up of all the experiences that we’ve had over the course of the last twelve months. It’s also so much fun to think back to where I was at this time last year compared to where I am now. Last January, I was living with my in-laws while working on collecting an exhaustive amount of background checks for my Canadian residency application. You guys, they needed a background check from every country I’d ever lived in. And that was just the tip of the paperwork iceberg. The entire process took a really long time and resulted in more than one bout of ugly crying while hiding in the bathroom. Now I look around at my little apartment and I am so happy with everything that has been accomplished this year. I have explored the city a little more. I got to introduce my parents to Toronto. I went camping and kayaking and tried hard to be more active. And I read a lot of really good books. To be clear, this is not a list of my favorite books that were released this year. Just the books that I happened to read that stuck with me, opened my mind to new ideas, or that I had a lot of fun reading. Parasite takes place in the near future, where most of mankind has willingly swallowed designer tapeworms that have been genetically engineered to prevent disease and increase lifespan. Sal Mitchell’s life is saved by her tapeworm after a traumatic motor accident. As she struggles to return to normal life, she notices people exhibiting unusual and violent behavior. Turns out that the tapeworms are beginning to test just how much control they have over their hosts. A few years ago I stumbled across a little trilogy called Newsflesh which I devoured within a week. 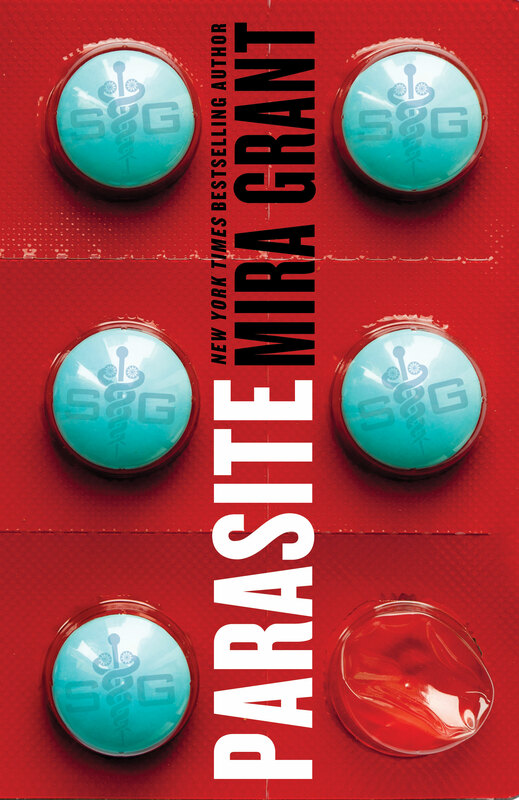 I fell in love with Mira Grant while reading those three books, and when I found out she had another trilogy called Parasitology I pounced on it like a kitten on a ball of yarn. Mira Grant’s writing pulls you in from page one. Her characters are well-formed and behave in a believable manner. Parasite is a great example of true science fiction, a well-blended mix of academic science and fiction. I came away from this novel feeling as if I had actually learned something interesting about the field of bio-engineering. And in a more entertaining way than a textbook! 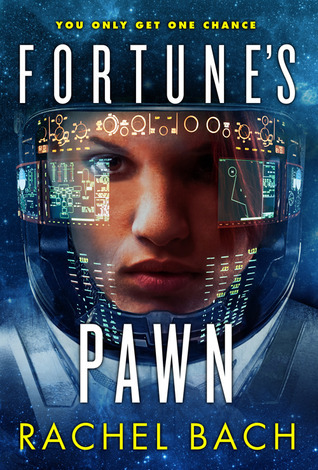 Fortune’s Pawn is adventure/science fiction, set in the distant future where mankind has spread out to live on a multitude of planets. Devi Morris is an ambitious, no-nonsense space mercenary who takes a job as a security officer on board a small trade ship with a reputation for getting into trouble. This is the first installment in Bach’s Paradox trilogy and offers an exciting jumping-off point for the adventures of the crew of the Glorious Fool. A good friend and fellow book-lover bought me this for Christmas and I read it in less than two days. The setting is very reminiscent of Firefly, with a ragtag group of space explorers who just want to make an honest living and somehow keep getting sidetracked. As the heroine, Devi is fun and relatable. It was hilarious that her solution to every problem seems to lie either in a whiskey bottle, her fists, or under the sheets. And the descriptions of her suit of armor border on love poetry. A group of friends hiking in the wilderness near the Arctic Circle encounter more than they bargained for when they go off trail. Exhausted and out of shape, their supposed shortcut quickly becomes a maddening descent into horror. The moral of this story – when you see a dilapidated cabin in the middle of the woods decorated with animal skulls – KEEP HIKING. Some readers unwind with murder-mysteries. Others relax by reading travelogues. Or the unflatteringly labeled “chick lit”. For this reader, it’s always been horror novels. And this one is a doozy. The Ritual freaked me out you guys. I love the whole “lost in the woods” vibe. Nevill’s prose creates a creepy feeling of suspense that doesn’t let you go for a second. Also, the characters aren’t completely moronic! They behave in a more or less rational manner. Which is a rarity in the horror genre. 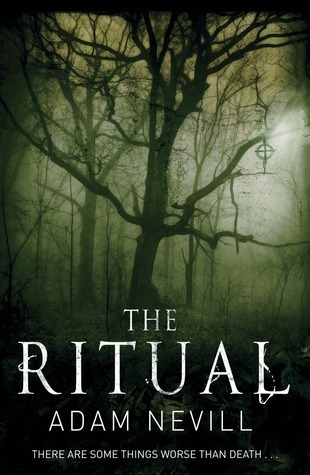 Suspenseful, surprising, and genuinely spooky, The Ritual was a lovely bit of fun. I would not recommend bringing it on a camping trip. The Trespasser follows Detective Antoinette Conway as she investigates the murder of a woman who is found dead in her home. It deals with the everyday sexism that a woman faces within a male-dominated field. The general armor of toughness that women in these fields feel the need in order to succeed, and the far-reaching consequences of that armor. If you haven’t read any of the Dublin Murder Squad series, stop reading this and go find In the Woods. I’ll wait. I generally can’t stand detective novels. They tend to be perfectly predictable, starring the “chain-smoking male that doesn’t play by the rules”. Tana French breaks all of those stereotypes and dances on their ashes. She never tries to trick the reader. Everything that happens in The Trespasser makes logical sense. She also stays away from the oh-so tedious “invincible villain” plot device. And at the end of the day, it’s just a really well written mystery. 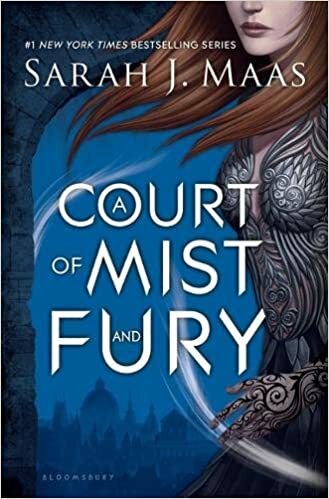 The series follows Feyre, a human girl who lives near the boundary between the mortal realm and the immortal lands of the Fae. After killing a wolf on one winter day, she is visited by one of the Fae and her life changes forever. I dove into Sarah J. Maas’ A Court of Thorns and Roses earlier this year and…meh. Honestly the first installment fell a little flat. As if the author had cherry-picked their favorite aspects of The Hunger Games and squished it together with the melodramatic romance of Twilight. I found it to be wildly okay. The second novel is great. It’s darker, more mature, and stays away from the ewey-gooey teenage romance feeling of the first novel. The heroine, Feyre, grows from a dependent girl who is desperate to be protected into a capable woman who finds her inner strength. Her feelings and intentions are no longer tied solely to her relationships, and she is made to understand the consequences of her decisions. The descriptions of the Seven Fae Courts are gorgeously written and the overall plot moves forward at an exciting pace. And ultimately it is a YA novel, so reading it felt like an uncomplicated escape after a stressful day. 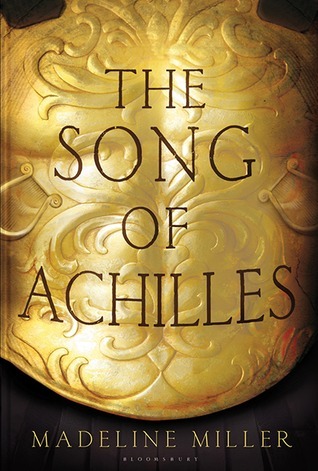 This novel centers around Patroclus, a young boy in ancient Greece who is sent to live and train with another youth by the name of Achilles. Achilles is a natural warrior, the son of a water goddess who is destined for greatness. What Patroclus lacks in fighting ability he makes up for in honesty and altruism. As Patroclus grows to love Achilles from afar, the events leading up to the Trojan War have lasting effects on both their lives. Historical fiction is fun. Greek mythology is fun. Historical fiction based on a few lines of Homer’s Iliad? So much fun. I had never expected a historical fiction novel set in ancient Greece to deal so sweetly with LGBT characters. Patroclus’ tender love and devotion for his friend is the most endearing part of this book. Simultaneously, the descriptions of early warfare are stunning in their brutality. I’ve always loved adaptations of Homer that continue to treat the Greek pantheon as immortal beings who affect the world around them on a whim. Even if you hate Homer or haven’t read The Iliad, The Song of Achilles will make you hungry to learn more. Ifemelu is a young Nigerian woman who moves to the United States to complete her university degree. Obinze is her boyfriend who is left behind. What follows is the story of two people trying to balance their perceptions of themselves and the perceptions of the world around them. My absolute favorite part was Ifemelu’s reaction when she is instructed that she needs to have “white” hair if she ever wants to find a job in America. 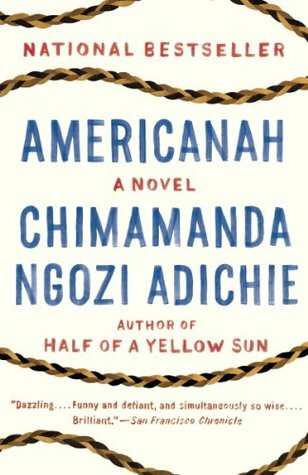 This is a fictional novel, but for me it almost reads as a series of essays on race in America. On the interactions between African immigrants and African-Americans. The idea that a person never thought of themselves as “black” until coming to America. On white privilege and class privilege and the privilege of being born in a first-world nation. And on top of everything else, it’s also a wonderful love story. The only nonfiction book on my favorites list is here for a reason. I watched the documentary Blackfish when it aired in 2013. 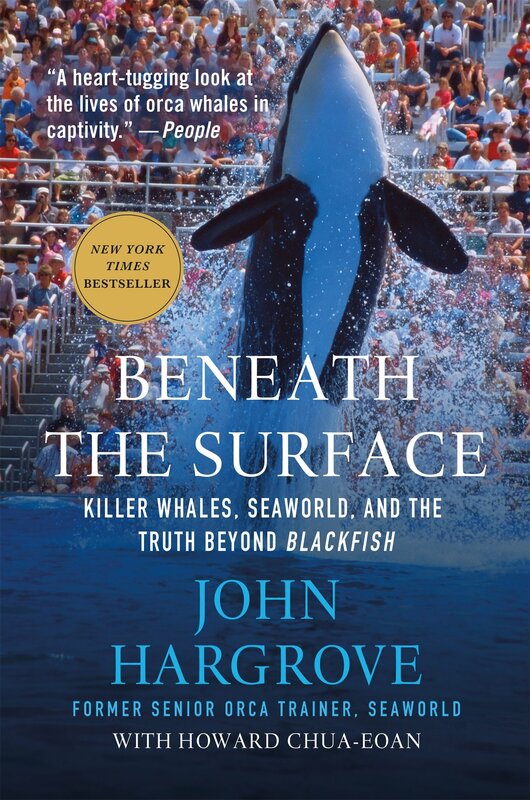 When I found out that John Hargrove, a former SeaWorld trainer and one of the primary forces behind Blackfish had written a book, I read it as soon as I could. This book broke my heart. Hargrove never really apologizes for his years of working as an orca trainer at SeaWorld. Instead, he writes with a fond nostalgia, and the love he feels for the whales shines out of every sentence. We follow him through the early love and hero-worship of SeaWorld, to his work as an international orca trainer as he comes to realize the harm that the company is doing to the orcas. He earned the love and respect of these magnificent animals and learned that in order to help them, he had to stay away. The descriptions of the pain that the killer whales were enforced to endure were very difficult to read. Especially as you realize that this isn’t ancient history; the whales described by Hargrove are still alive and in pain and performing at SeaWorld. I would love to see an orca whale. I will never go to SeaWorld. And if you read this book, neither will you. Rosemary’s Baby follows a young woman and her husband who buy a highly sought after apartment in New York City. 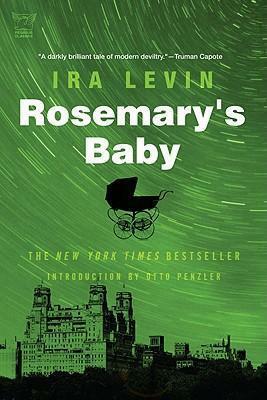 Rosemary becomes pregnant under mysterious circumstances and the novel details her experiences as she comes to realizes that her unborn child may not be the blessing she had anticipated. How did it take me so long to read this? I borrowed it on a whim from my local library, went home, and did nothing else that day. I ate my dinner one-handed so I could continue reading. I was completely exhausted for work the next morning because I had to stay up until 2:00 am so I could finish this book. That’s how amazing it was. *drumroll please* My favorite book of the year. Similar to the aforementioned Rosemary’s Baby, this was a book that I devoured in a day. Then I was sad that I had finished it because it meant that I could never enjoy it again for the first time. Jason Dessen leaves his wife and son at home and goes for a seemingly normal drink at his local pub. On his way home, his life changes in ways he could never have anticipated. That’s all I’m going to give you because to give anything away would be a crime. This book was so much fun. A thoroughly engaging read with relatable characters and a very poignant romantic element that is a rarity in the science fiction genre. I was turning the pages with shaking hands because I needed to get to the end. 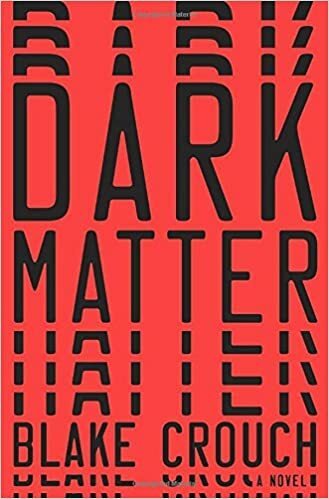 Definitely recommend for lovers of science fiction and any reader in general. Well that’s it. My top ten favorite reads of 2017. What did you think? Feel free to post your favorite books of the year in the comment section! Coming up next, my most disappointing reads of 2017. See you then and happy reading everybody!